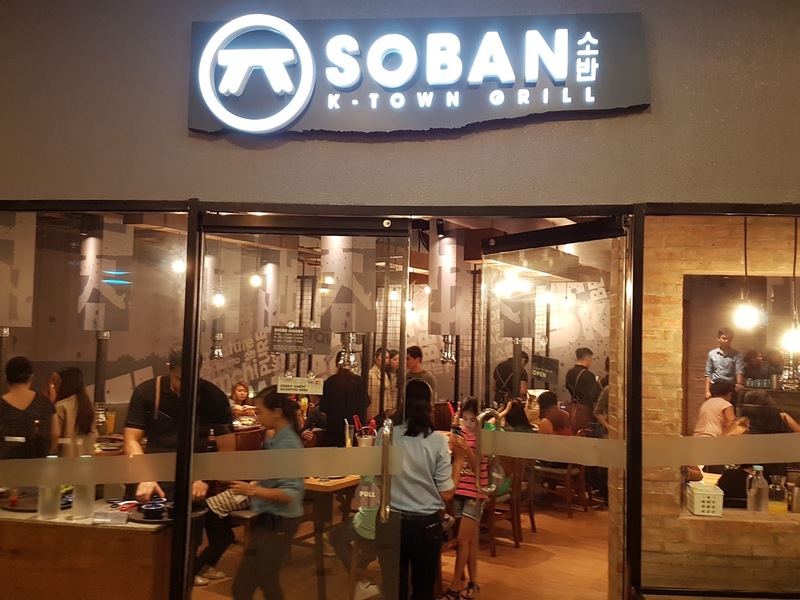 Wow, if there is one town I'd want to take over as mayor it would be Soban K-Town. It is a place that will always have a special place in my heart. 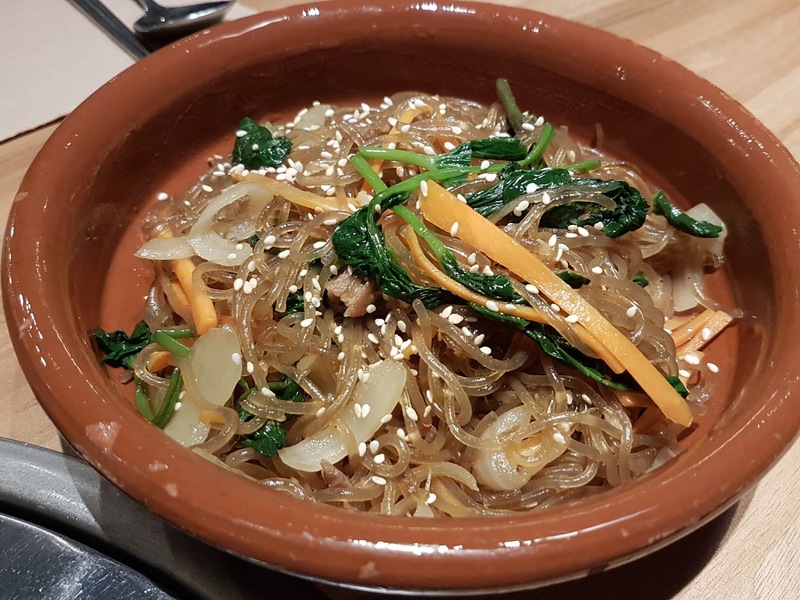 I rarely eat at Korean restaurants but they really impressed me with what they have to offer. They simply took my breath away when I got to taste their food. 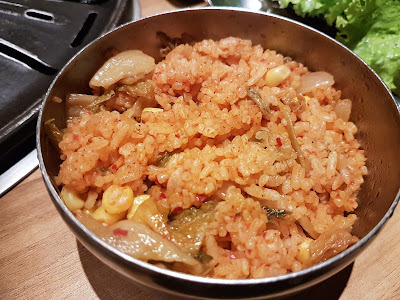 Because of the BBQ combo set, we had unlimited servings of Kimchi rice. 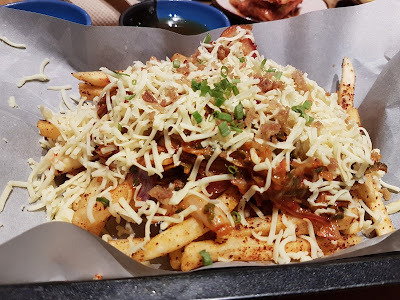 It was certainly spicy from the name itself which made me look for other options when my mouth is suffering from the spicy food I just ate since I am used to rice as the fire extinguisher. It certainly needs to be water in this case. 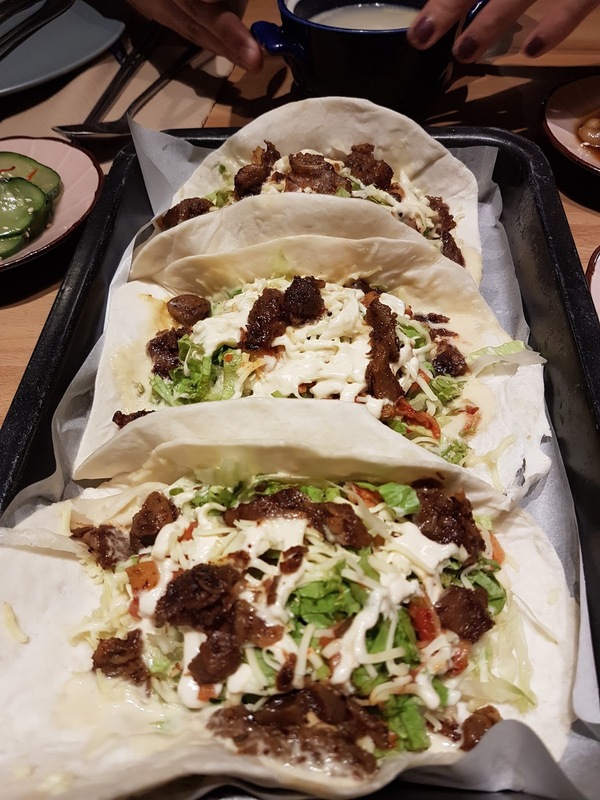 We had 6 servings of the Tacos and I was really surprised at how a Korean restaurant has Tacos. Each of them had grilled beef along with cheese, tomatoes and greens. It was a healthy alternative to having unlimited Kimchi rice to go along with the meat. I'd recommend this to all the taco lovers out there. We had the Premium BBQ Combo Set which had 180g marinated premium beef, 180g pork belly, 180g boneless fried chicken, 2 japchae and a maximum of 4 unlimited kimchi rice. They say this combo set is good for 3 to 4 people but I actually think it could fit around 6 to 8 people. 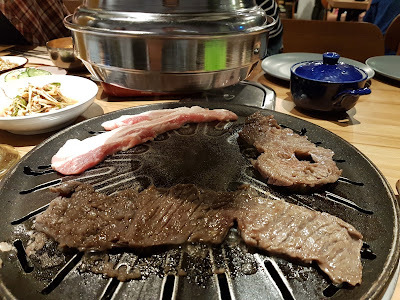 I loved the way they grilled the meat in front of us. We could have done it ourselves but we let them do it for picture purposes. The price is more than worth it for all the food that was served. One of the crowd favorites here is the Kimchi Fries which is fries with roasted pork bits, kimchi and lots of cheese on top. I have low tolerance on spicy food but I still had a lot of it anyway. It is perfect to go along with their superb cocktail drinks. 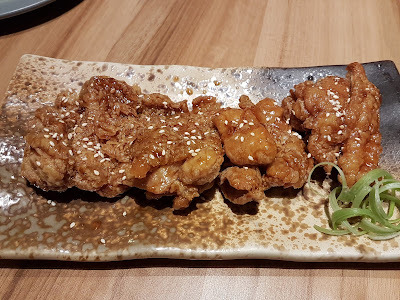 Their version of caramelized boneless fried chicken is so good that it made me dive onto the other table and get more of it. The sesame seed is certainly the icing on the cake as they say when it comes to finishing this yummy dish. We had one of the best Japchae I have ever tasted. It is extremely flavorful. It definitely fits hand in hand with their grilled chicken or pork. Before getting back to the food, I must applaud the ambiance and service of Soban. Their staff were certainly trained well and it really showed. 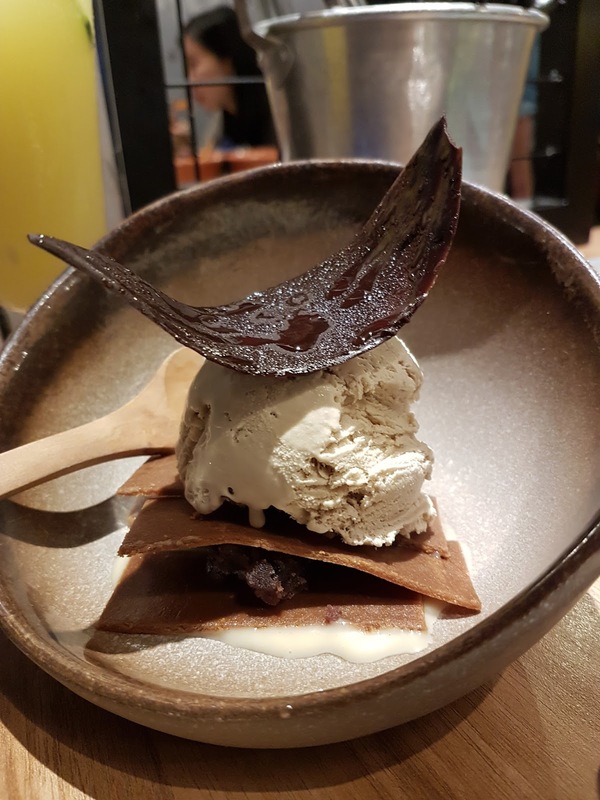 For dessert, we had the Coffee Prince which is homemade coffee ice cream lying on salt graham and red beans. I must applaud whoever came up with this combination because it was a great way to end a sumptuous meal.